Coffee and wine are two of the world’s most popular drinks, but they’re not often drunk together. 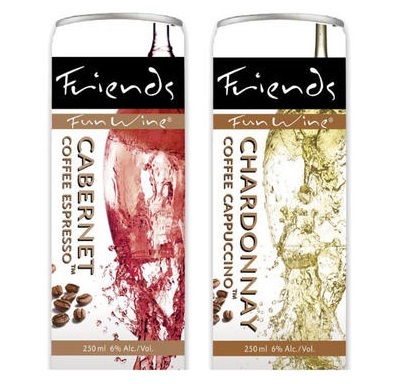 Soon, however, the two drinks will meet in a new product from Friends Fun Wine, the Florida company known for their easy to drink canned wines: Coffee Wine. The canned drink comes in two flavors – Cabernet Coffee Espresso and Chardonnay Coffee Cappuccino – and their are two servings per can, which means that there is plenty to share with a friend if you decide to take a chance and give the drink a try with someone as daring as you are. To be honest, my initial thought is that this is a terrible idea. I don’t think that there is a big call for a product like this one from consumers looking to combine wine and coffee in the first place. But I’m willing to give it the benefit of the doubt and give it a try if/when I see it in stores to see if it exceeds my expectations.